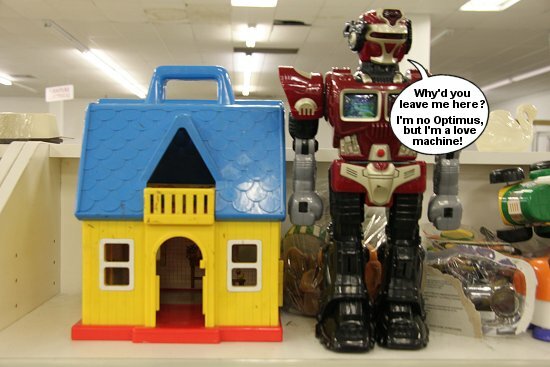 What I Didn't Buy at the Thrift Store: Robots, Toys, Oh My! 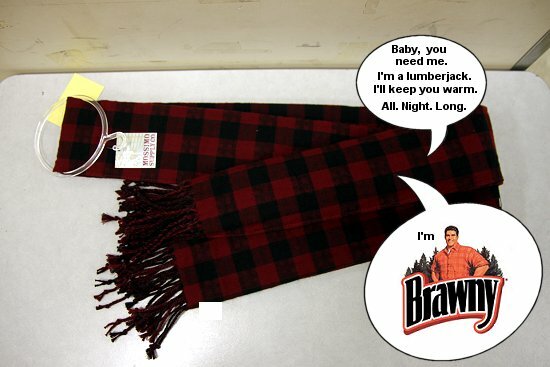 There is no guarantee that I will not return for these items as soon as my seven dollar thrift budget challenge is up. I can still hear them, calling to me. Their pull is hypnotic.Yes, I am insane. But I can confess my insanity to you, my Thrift Comrade. You understand. BWAHAHA! I resemble the suitcase remark a little too close for comfort. I'm on a luggage ban until I list the suitcases, carry-on bags and overnight cases I have. Besides having a vintage suitcase addiction, I find I'm drawn to vintage staplers. I had four in my grubby little hands at an estate sale but they were out of my price range. The only thing stopping me from buying these items today is my $7 budget. Okay, I guess I could have left the robot behind. But not the rest! 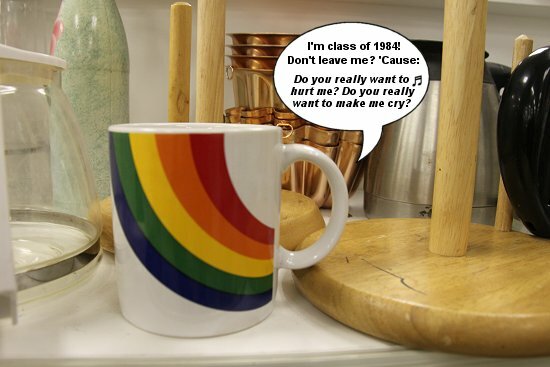 I totally saw that rainbow mug today too! I love that mug! They seem to resell well, but I'd prefer a pair if I'm going to sell it. Oh, same here. We need to start a creepy curios museum of some kind. And keeping Hoarders on the mind, definitely effective in keeping more items on those thrift shelve! My husband is still carrying that red suitcase which we bought new about thirty five years ago. When we arrived at our daughter's she laughed at him and demanded to know where the new ones she gave us for Christmas a couple of years ago were. Those rainbow cups were everywhere back in the day. It was a rule..every home had two or more. This made me smile real big. 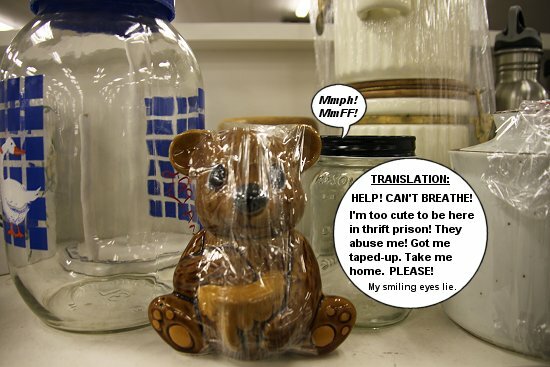 So cute :D Poor items in thrift prison! I would so have bought that red suitcase! Gorge! I don't think I could resist the rainbow mug. I think I regret it more when I don't buy. I went to an estate sale and saw an old shabby chic wooden pink chair. The next morning I returned to purchase it and they had chopped it up firewood and were burning it right there. Oh the horror! The horror is right! Poor damn chair! 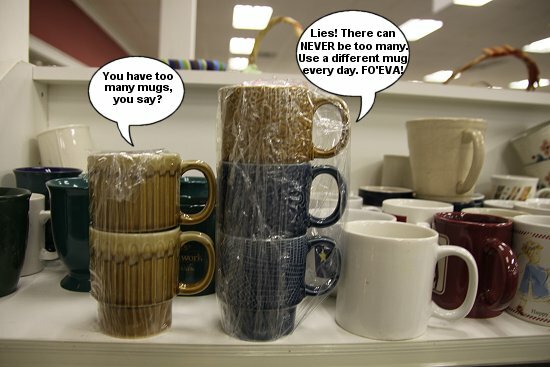 The mugs always whisper that same damn thing to me ... usually I give in. I have to say that I agree with that little honey bear! I'm so glad that you showed one of those mugs. People keep selling those for $10.00 each on Etsy - and making sales. I'm stumped. 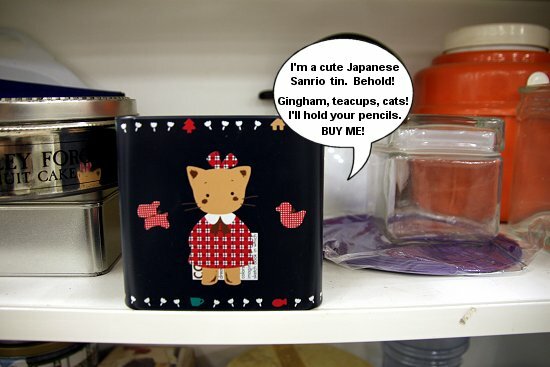 Knowing my luck, I'd buy the mug and it would sit on the shelves...forever. With no buyers. I think I did the right thing trusting my instincts and leaving it behind. I was out and about today and saw 3 of those poor left behind items. My husband thinks I am a dork when he told him I recognized the items. I was able to leave behind some of the many 8 track tapes that store had. The biggest selection I have ever found. If only I was more into swing and big band music. Someone had a huge collection. 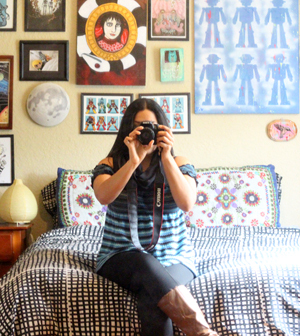 PS, I find it cathartic to photography what I don't buy as well, lol. The other day I posted an old reel to reel on my FB page (http://www.facebook.com/ThriftTrick) that was KILLING me. I just couldn't justify buying it. 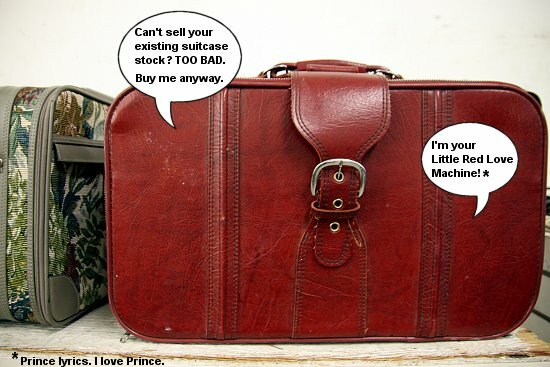 But, as a musician and a thrifter/antique lover/vintage junkie, I was dying inside, lol. those mugs would have come home with me and ended up in the shop. Oh girl, i would have so waived that budget away and scooped up that red suitcase. In a heartbeat. Plus that green floral one next to it. Can't never have to many vintage suitcases. Stack them up and call it storage. Next time...I will ;) Assuming it's still there. I'm loving the thought bubbles.